The Church of Scotland is “deeply concerned” that more than 300 asylum seekers in Glasgow are under threat of eviction. 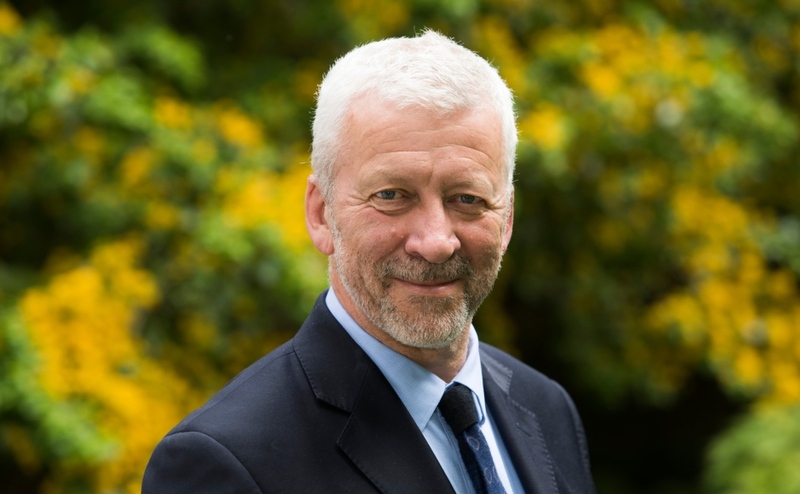 Rev Dr Richard Frazer, convener of the Church and Society Council, said it was “unacceptable” that people fleeing violence, terror and war are being treated in this way. He added that people in positions of authority had a “clear moral responsibility” to provide housing to people in need. Dr Frazer spoke out after public services provider, Serco, announced its intention to remove people from their homes in Glasgow who they say have been denied asylum by the UK Government. The firm said the Home Office has stopped paying it to provide accommodation and it could not cover costs indefinitely. Serco issued six single applicants of the 300 plus historic cases with a seven-day lock change notice today. Dr Frazer said: “The Church of Scotland is deeply, deeply concerned at plans to evict up to 300 asylum seekers from their homes in Glasgow. “Whilst these are individuals and families who have had their right to remain in this country turned down, past evidence suggests that half will win their appeal against that decision. “In the meantime, we have a clear moral responsibility to be providing housing. “Many of those facing eviction have already needed to flee their homes in the past from appalling violence, terror and war. “It is unacceptable that this should be happening. “We are a welcoming nation - Glasgow has the reputation across the world of being a friendly city. Dr Frazer said hospitality is of one of the core values of the Christian community. “Our Scriptures contain the regular refrain to care for those at the margins of society,” he added. Rev Brian Casey, Right Rev Susan Brown, Giorgi Kakava and his grandmother Ketino Baikhadze. 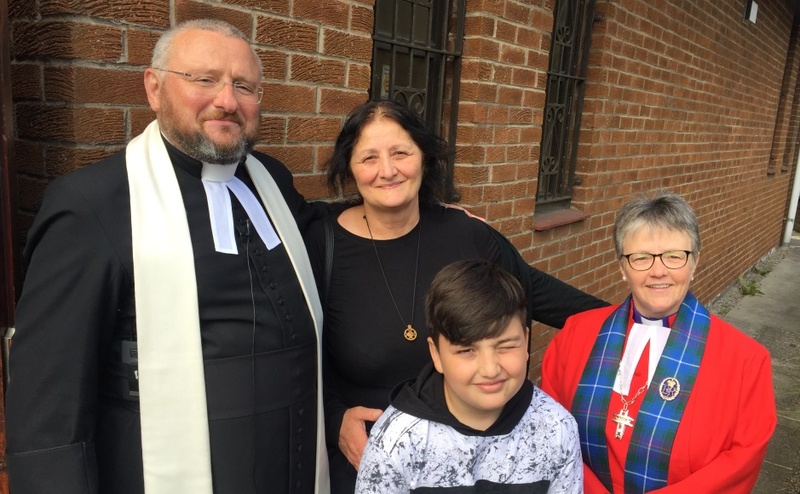 Rev Brian Casey of Springburn Parish Church in Glasgow is currently leading a high profilecampaign to prevent Giorgi Kakava, a 10-year-old orphan asylum seeker in his parish, and his grandmother Ketino Baikhadze from being deported to Georgia in the long-term. 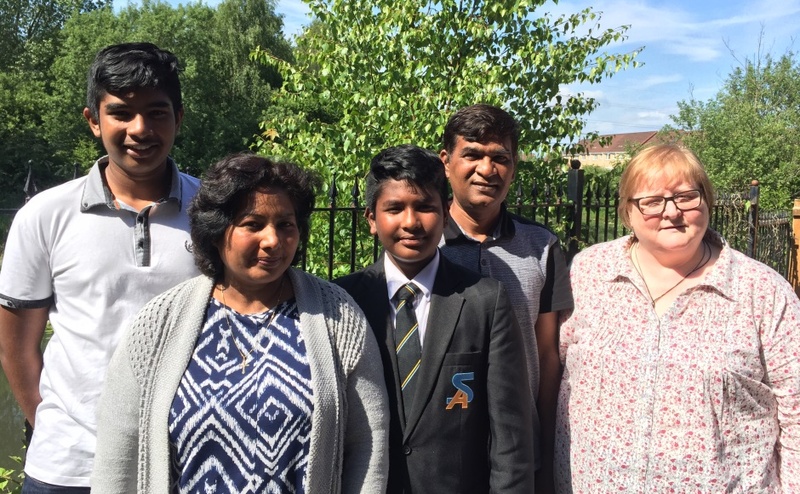 And Rev Linda Pollock of Possilpark Parish Church in the city is fighting to stop the Umeed Bakhsh family from being deported to Pakistan where Christians are persecuted. 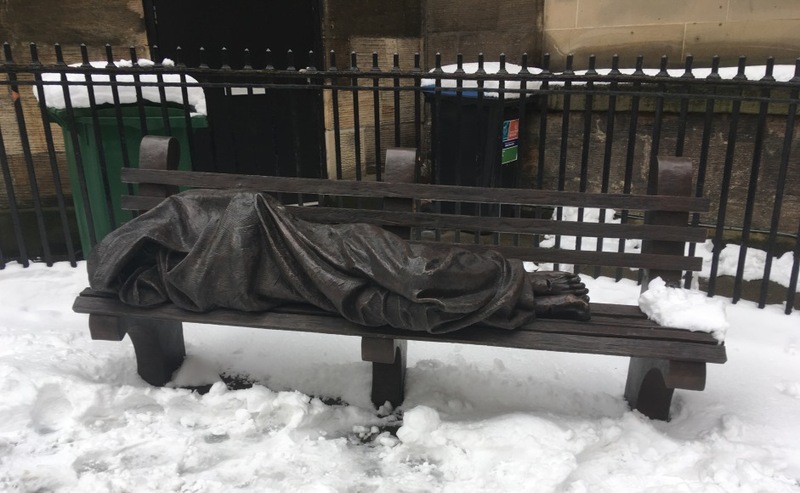 A report, entitled Destitution, Discrimination and Distrust: the web of the hostile environment, sets out how aspects of the policies run counter to the Christian teaching of welcome and hospitality. The campaign follows recent revelations about how British citizens such as members of the ‘Windrush generation’ have lost their homes, jobs and access to NHS treatment because of the policies. But the report argues that the web of the hostile environment reaches much further.